An eye catching style of kitchen can complement the look of your home. 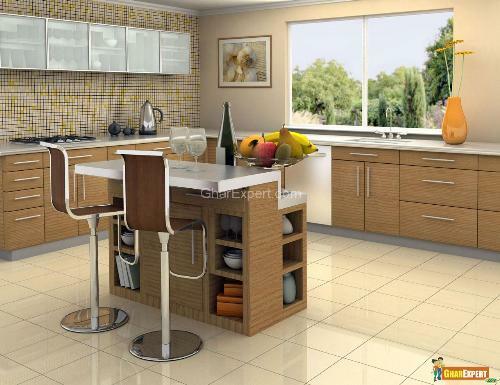 You can opt for modern kitchen style if you want to create modern look in your kitchen. There are two choices for installation of modern kitchen either you can make you kitchen by self or purchase a readymade from the market but decorating a kitchen by self is an interesting job. Glossy steel, wood, laminates, plastic and granite are all mixed to provide diversity of texture and a striking modern look. Just look for some essentials which give your kitchen modern appearance. 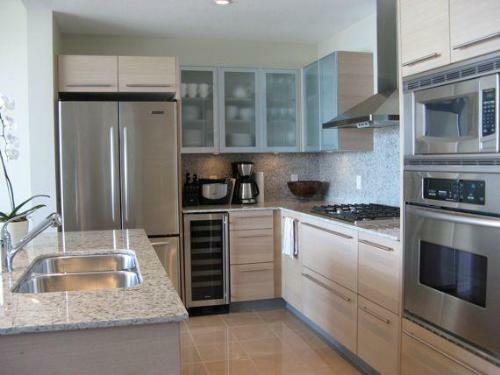 Sleek and stylish appliances with stainless steel provide perfect modern look to your kitchen. Modern kitchen is incomplete without a dish washer, range cookers, microwaves, stainless steel utensils and chimneys and ventilation; which also enhance the beauty of modern kitchen. Stylish flexible faucets over sink can be moved easily where the water is needed. These taps are available in a large variety of designs. 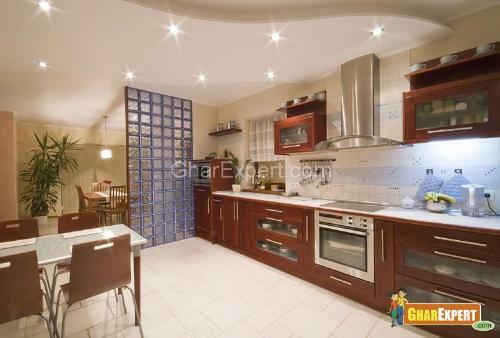 You can choose nice ones and install them in your modern kitchen. Granite, limestone, concrete, marble work top and counter tops are in trend and are preferred for modern kitchen. These counter tops are available in a large variety and designs with round edges. You can choose counter tops according to your kitchen requirement or color and granite, limestone and marble; which are easy to clean and install. 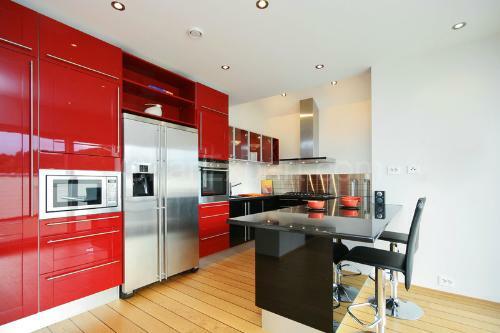 Wall fitted cabinets create modern look in your kitchen. 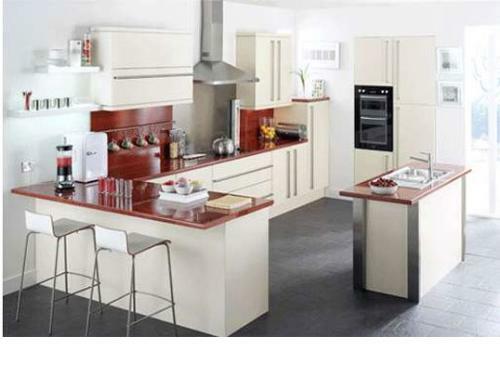 White gloss and Metal effect cabinet doors in softly molded or shaker panel style offer modern style to your kitchen. A high-tech central island is main focus of modern kitchen. Modern kitchen has functionality of pull out drawers. 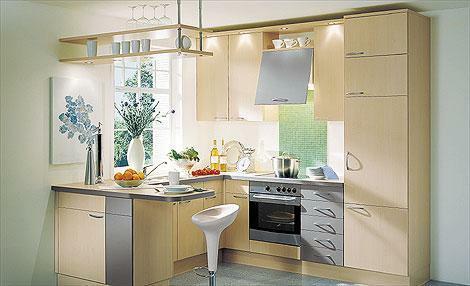 Aspire to use glass cabinet doors to show your collection of white colored china kitchen wares. 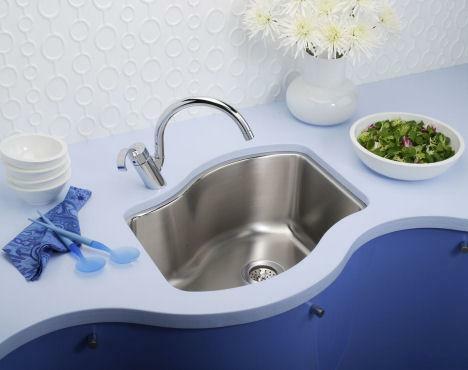 Modern kitchen sink make your kitchen more elegant and modern. Glossy steel, black granite and white ceramic kitchen sinks are in trend to give modern look to your kitchen. Install two sinks in modern kitchen; one small and the other big. The smaller is used to wash vegetables whereas the bigger to wash utensils. 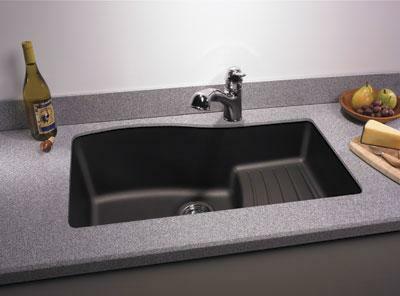 Kitchen sinks are available in various shapes such as round, square, rectangular and layered. Round sink look pretty in modern kitchen. 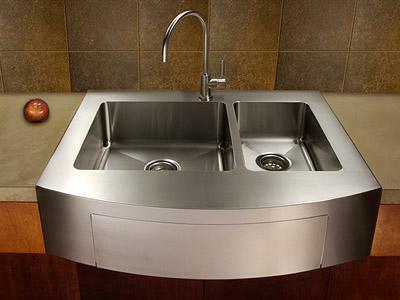 The sink should be under mount including steel faucets in modern kitchen. Kitchen Islands are one of the essentials of modern kitchen and come in a variety of materials such as steel and wooden, styles, colors, and designs. They can be attached to kitchen floor or free standing kitchen islands. 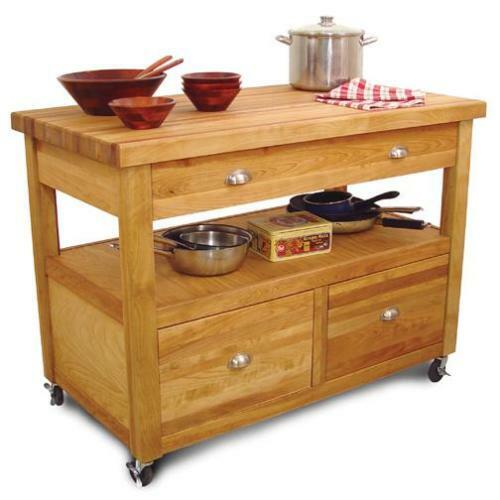 Free standing kitchen islands have functionality of wheels and can easily be carried anywhere from the kitchen. Kitchen islands simply add charm to the kitchen and are used for storage purpose also. If your kitchen island is fixed in the kitchen, you can use it as a countertop, dining table, and for storage purposes. The tops of Kitchen Island with marble, granite or limestone are preferred for modern kitchen.